It was the Half-Life 3 of smartphones until it became Duke Nukem Forever. Almost five years in the making, always elusive and never really official, but now it's out. Yes, it's the Oppo Find X. The hunt for the next Find started shortly after the Oppo Find 7 series launched back in March 2014. Since then "where is the next Find" question has been persistently popping under every Oppo-related news article. The affordable F and the flagship R series just weren't enough for the Oppo fans. 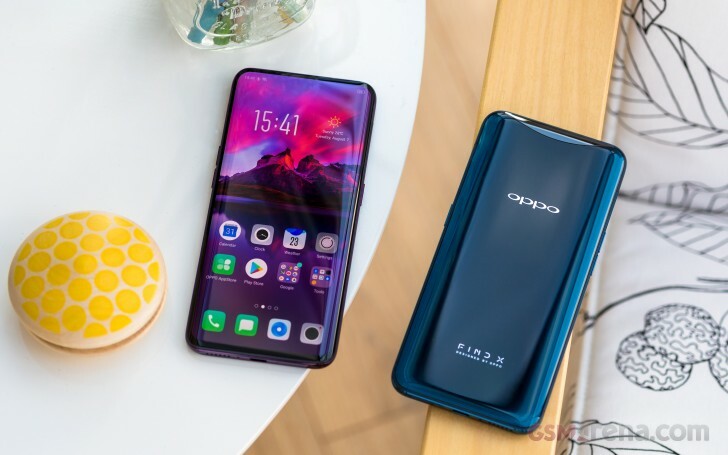 The expectations went through the roof in time and we could understand why Oppo just won't make another Find - it was hard to keep up with the hype. But no, the Find X did not only live up to all that hype but exceeded all expectations. The X combines the power of the Finds and the innovative nature of the N series. 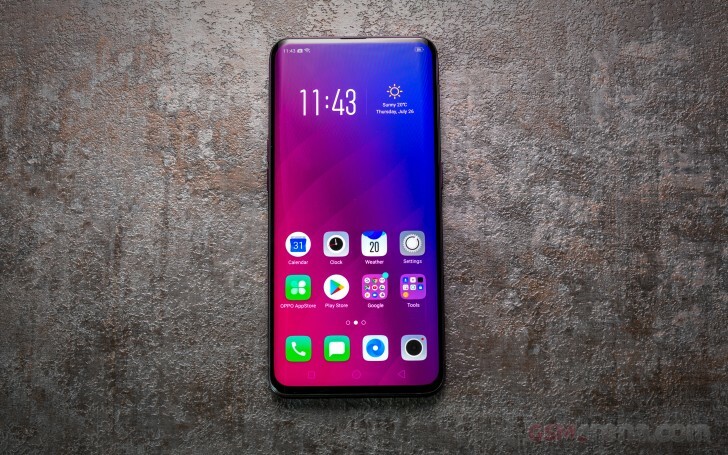 That's how the Oppo Find X was born and its curved, bezel-less, cutout-free AMOLED screen is one of the most impressive things in mobile product design you'll see these days. And then it tops it off with the motorized slide-out structure which houses the front and back cameras and other interesting bits and pieces. The slide-out camera is so fast that it won't get in the way, it feels like on any other modern flagship - instantaneous. Even the Face Unlock, which every bit as secure as Apple's solution on the iPhone X now, is as fast as on the iPhone X in spite of the additional machinery. The Find X has the looks and specs you'd expect of a flagship, but it also employs a previously unseen innovation to claim that title. And Oppo is prepping to launch the Find X internationally, so things look very promising. Enough teasing then. Let's pop the Find X out of its box and see what it's made of. 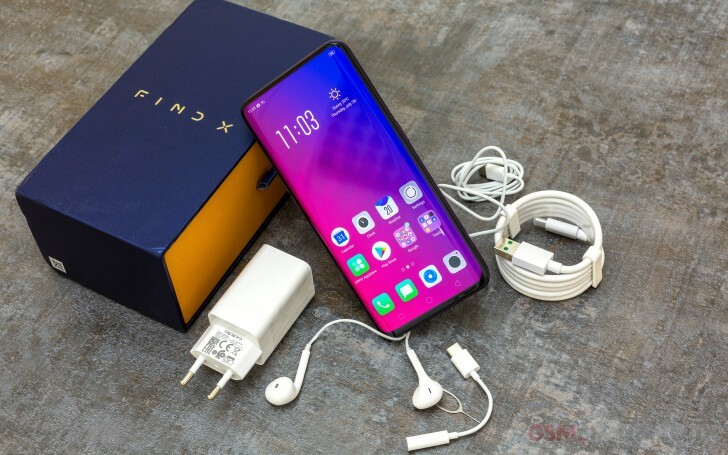 The Oppo Find X is packed in a luxurious, thick paper box with text which changes color under light. Inside is the X itself, a 20W VOOC charger and a VOOC-compatible USB-C cable. This may very well be the first Oppo phone to come out with a USB-C port. There is more in the box - an EarPods-like headset, which comes with a 3.5mm-to-USB-C adapter in case you want to use another headset which has a standard jack. Finally, the retail packages should include one very nice transparent case to keep scratches away from the Find X's back. It might be a Gorilla Glass 5 piece, but version 5 prioritizes shatter-proofing before scratch resistance, so the bundled case is much appreciated. Unfortunately, the case is missing from our reviewer's unit box, so we can't provide you with a picture.